It is with profound sadness that Women With Disabilities Australia advises our members and allies of the passing of Dr. Margaret Cooper OAM, one of WWDA’s founding members and our first elected President following WWDA’s incorporation in 1995. It is impossible to do justice to the contribution of Margaret Cooper – not just for and on behalf of women and girls with disability, but also to the Australian disability rights movement as a whole. WWDA will be organising a public memorial for Margaret – to be held in Melbourne early in the New Year. More details will follow. Below is an obituary for Margaret, compiled by WWDA’s Executive Director, for and on behalf of WWDA’s Management Committee, members and allies. From the age of ten – Margaret’s life was dedicated to advancing the human rights of people with disability, particularly women and girls. Excluded from any form of schooling as a small girl, Margaret was eventually ‘allowed’ to attend the Yooralla Special School. It took a four hour round trip to get there and back, but even at such a tender age, Margaret knew how empowering an education could be. She excelled at school, but her academic excellence was not recognised or celebrated in the same way as that of her siblings and other children, who attended mainstream schools. Her experience of inequity at school set her on an advocacy journey that lasted her lifetime. She went on to gain tertiary qualifications as a social worker, and following her retirement, she undertook a PhD, authoring her seminal thesis ‘The Australian Disability Rights Movement’. In her early years, Margaret lived in a hostel, the only option for people with disability living away from their families in the 1960’s. Margaret described that time as humiliating and infantilising, and she experienced significant abuse at the hands of controlling and patronising supervisors. Margaret explained that “there was no way of stopping her….I had nowhere else to live, no resources to develop alternative housing, no impartial agency ombudsman, and no protective legislation”. 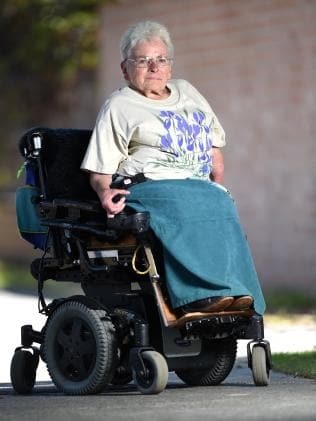 She spoke of this era as one where “people with disabilities were protected in asexual, congregate, work orientated, cradle to the grave care, in a time of increasing social freedom for others.” Determined to have control over her own life, Margaret eventually went on to live independently in her own unit, and continued her disability activism. She still experienced frustrations in gaining control over her own life, particularly in relation to disability supports that she required to maximise her independence. In 2011, she said “It’s hard to get someone to help after 7.30pm, so that’s the time I have to go to bed. I can manage my own bank account, I can write a PhD, but I can’t choose the time I want to go to bed”. Margaret was heavily involved in disability and women’s activism throughout the 1970s, 80s and 90s, a time when the political and legislative framework was evolving and there was a shared sense that things were starting to change. A key activity in which she took part was state planning for the International Year of the Disabled Person (IYDP) in 1981. She was on the state committee, representing VCOSS and was on a number of other committees planning and organising events for the IYDP. It was also during IYDP in 1981, that Disabled People’s International (DPI) held its first World Assembly in Singapore. Thirteen Australians participated and returned to Australia to set up an Australian branch of DPI. Two years later, DPI Australia (DPIA) was established, and from the outset, was dominated by disabled men. Only 3 of the 11 members of its governance structure were women, and there was no mention of women or gender in DPIA goals and objectives. Key women members of DPIA, of which Margaret was one, were frustrated and disappointed at their unequal participation and poor treatment within DPIA. So in 1985 they decided to establish their own women’s network within DPIA, known as the National Women’s Network (DPIA). In 1985, DPI held its second World Assembly in the Bahamas. Margaret and the other Australian women with disability representing DPIA were required to pay their own way to the Assembly, whilst the male representatives of DPIA were funded to attend the Assembly. The Australian women with disability joined forces with their international disabled sisters, and demanded that women be given the right to participate equally in ALL national organisations of people with disability. They threatened to withdraw from the national delegations. The DPI World Council was forced to hold an emergency meeting at which they agreed to establish a Standing Committee on the Affairs of Women with Disabilities. Margaret and the other members of the National Women’s Network (DPIA) became increasingly frustrated at the male dominated DPIA, including its patriarchal leadership style and its exclusion of the issues that were of critical importance to women with disability, such as sexuality, reproductive rights, violence and abuse, parenting, education and employment. In seeking a vehicle to effectively advocate on their own behalf, the National Women’s Network (DPIA) passed a motion in 1991 resolving to develop their own organisation along feminist principles, get independent funding, and leave DPIA. It took a further three years to secure a small seeding grant from the Australian Government but in 1994 the Network changed its name to Women With Disabilities Australia (WWDA) and established an interim governance structure. On March 3rd, 1995 WWDA was incorporated as an independent organisation run BY women with disability FOR women with disability. Margaret was unanimously elected as the first Chairperson of WWDA at its inaugural Annual General Meeting in 1995. From the beginning, Margaret and the other Board members of WWDA worked at developing feminist ways of working, for instance adopting `the philosophy of collectivity’ and participatory democratic processes with a leadership style that was woman-focussed, shared and social-change-oriented, and based on a model of consensus decision-making. Margaret was a very strong believer in the need to provide a range of opportunities for women and girls with disability to develop their skills, confidence, agency and autonomy. She continually advocated for the right of women with disability to fully participate in all aspects of civil, political, economic, social and cultural life and to have the freedom to exercise agency – the freedom to make decisions for themselves about issues that affect their lives and those of their families, communities and nations. Margaret Cooper was a fiercely independent, extraordinary woman who never compromised her values or those of our organisation. Margaret was, and always will be, a much loved and valued member of our organisation – and WWDA will always remain her legacy. Dr Margaret Cooper will be sorely and sadly missed by us all. May you rest in peace Margaret, with our heartfelt love and gratitude.